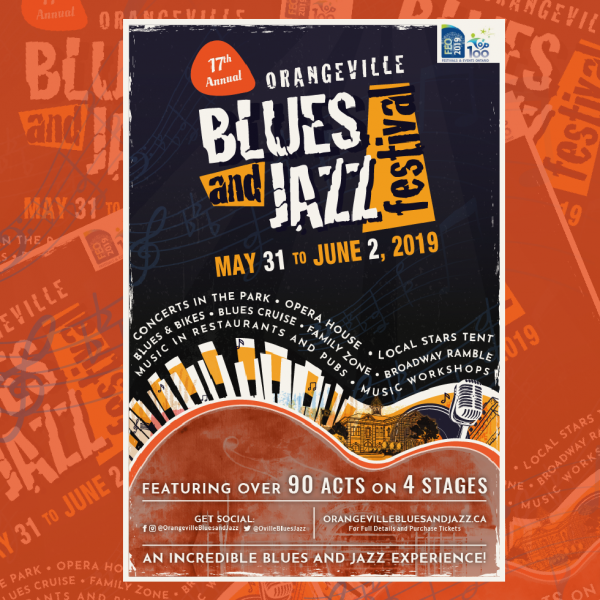 The Orangeville Blues and Jazz Festival announced today details about the 16th annual Festival taking place this year from June 1st to June 3rd in downtown Orangeville. 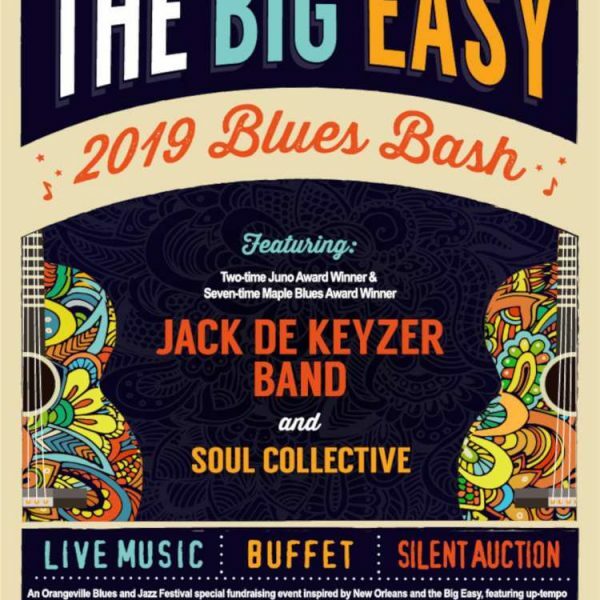 The 16th Annual Orangeville Blues & Jazz festival starts on Friday night at 5PM with the extremely popular Blues Cruise, sponsored by Dairy Queen, and MacMaster Buick GMC and Orangeville Chrysler. The Blues Cruise features over 300 classic cars and 10 bands performing on Broadway including the Gary Cain Band, Bad Luck Woman & Her isfortunes, Jake Chisholm, Brian Blain, Alan Gerber, Ronnie Douglas, Bent Roots, the Glen Marais Band, Tamica & The Boys, Pete Temple & The Cornerstones, the Can-Am Blues Band featuring James Anthony, and the Andrew B Parkhouse Band. The Royal LePage Main Stage will feature Larry Kurtz & The Lawbreakers with special guest singer Lisa Hutchinson going on stage at 8PM on Friday night followed by Raoul & The Big Time performing with a 7-piece horn section fresh off their appearance in the semi-finals at the International Blues Challenge in Memphis. Throughout the entire weekend there will be live music featured in over 20 clubs, restaurants and event venues around town. On Saturday the Royal Lepage Main Stage will kick-off at noon and feature an outstanding lineup of feature performers including SugaRay Rayford who was nominated for four 2018 Blues Music Awards, Crystal Shawanda, Samantha Martin & Delta Sugar, Jimmy D Lane, Jenie Thai, Justin Saladino, and Angelina Hunter. The festival also features plenty of great local talent performing in the TD Local Stars Tent on Saturday and Sunday. Also, on Saturday there will be many other Bands and Performers participating in the Festival as part of the “pop-up” performances taking place on Broadway which will be closed to vehicles to create a unique festival vibe with a pedestrian friendly setting. Also featured on Saturday, there will be a Blues & Bikes motorcycle event taking place on Mill Street. 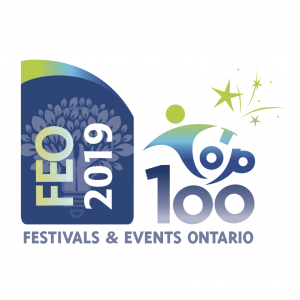 Special workshops will be offered in the Orangeville Public Library featuring Songwriting with Rob Lutes, Blues Guitar with Jimmy D Lane and boogie-woogie piano with Alan Gerber. Inside the Orangeville Opera House sponsored by Mortgage Architects and Orangeville Insurance Services, the lineup includes local piano man Stan Chang, Yukon-based Ryan McNally, Maple Blues Award nominee Rob Lutes, Canada’s premiere acapella vocal group Countermeasure, and Juno Award winners – the incredible jazz pianist Robi Botos and celebrated vocalist Kellylee Evans. On Sunday, the Royal Lepage Main Stage will start off at noon with Wayne Buttery and his eight-piece band featuring Danny Weis, followed by Toronto Blues Society Talent Search winner Dan McKinnon and multi-Maple Blues Awards winners the Paul Deslauriers Band. The Festival is particularly excited to present four-time Latin Grammy Award Winner Alex Cuba as the featured Main Stage performer on Sunday. Do not miss this act! 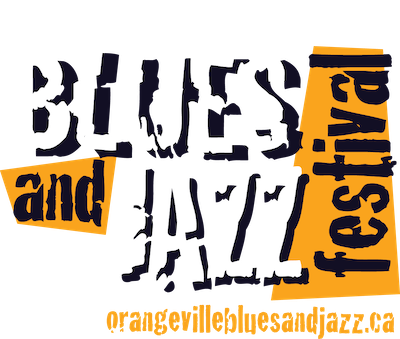 For more information about the Festival, including a detailed schedule of activities and performers, please visit orangevillebluesandjazz.ca.